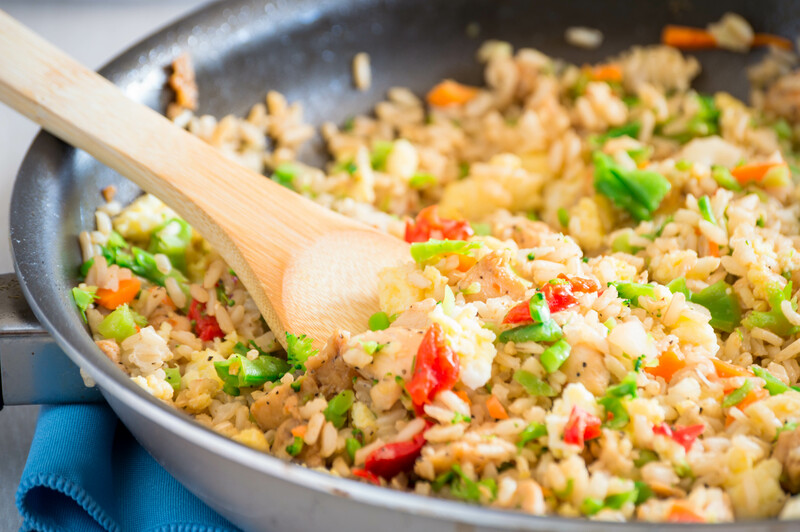 I love colorful food, and fried rice definitely fits the bill. After trying a bunch of different recipes from many sources, I finally decided to make my own by picking and choosing elements of several of these. This version is cheap and uses ingredients I always have around my house. 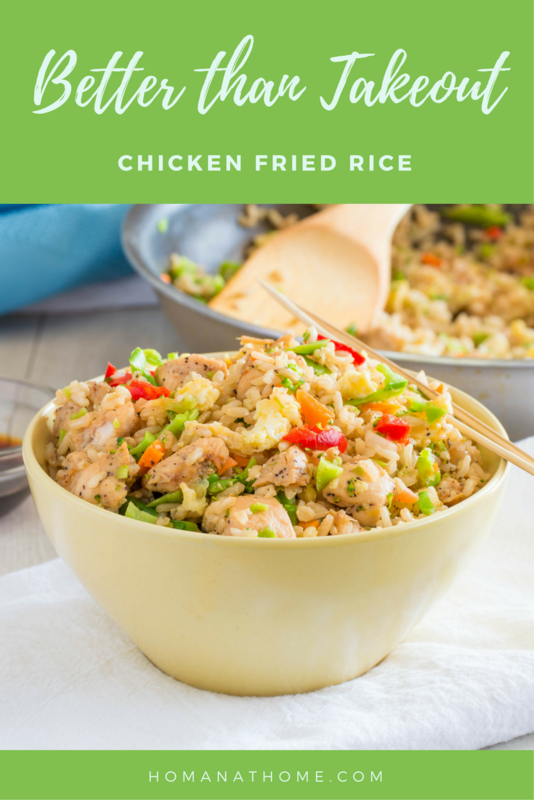 It’s also great for using up leftover rice or chicken. Grease deep frying pan or wok with olive oil. Chop chicken into cubes, then cook with spices until chicken is white all through. Add steamed vegetables and sauté. 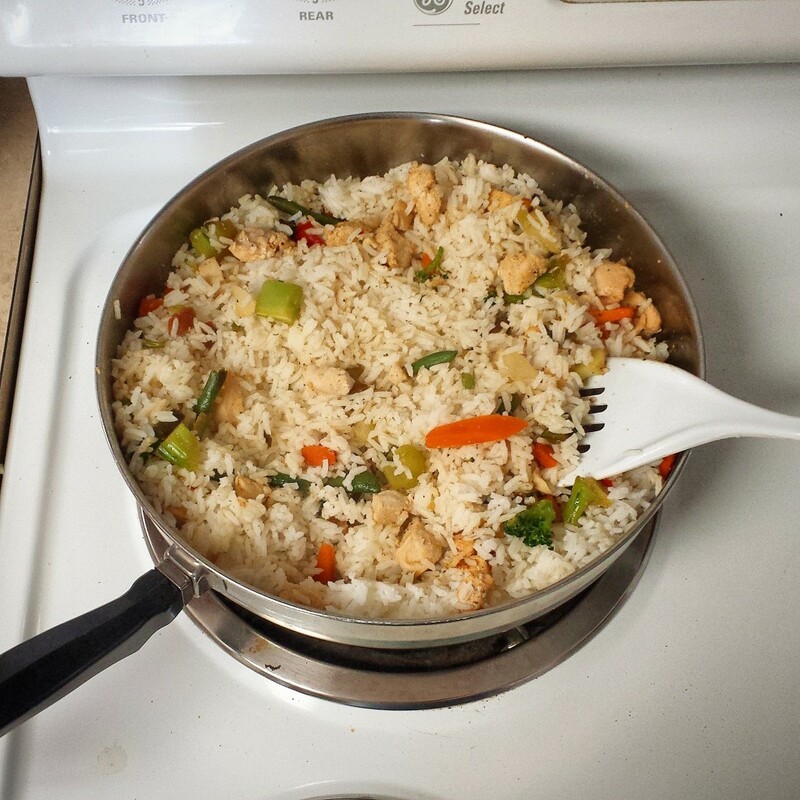 Add cooked rice and mix well with vegetables and chicken. In a small container, beat egg, then add to rice, vegetables and chicken. Mix thoroughly and allow to cook. Remove from heat and add soy sauce to taste. I like to cut the chicken into small bite-sized cubes and remove the fat before throwing them into the frying pan. The spice measurements above are estimates, since I usually just shake the container over the pan until I feel good about it. Sometimes, I vary the spices as well so this tastes a little bit different every time. I’ve done the vegetables two ways. You can either sauté them in with the chicken, or steam them separately and add them in fully cooked. Since I use frozen vegetables, I like to steam them first. When I cook them with the chicken, the chicken tends to get rubbery before the vegetables are fully thawed. Steaming first fixes that. 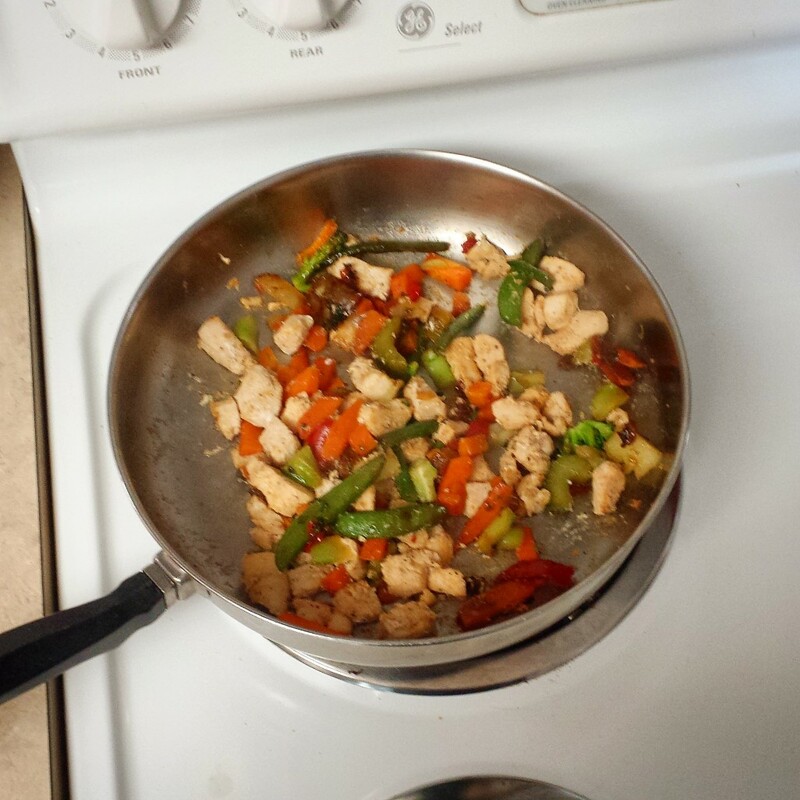 Once the veggies are in, I mix them up with the chicken so the flavors can get acquainted, then add the rice. I usually make this when I have leftover rice, so my rice may or may not have been cooked with spices or broth. 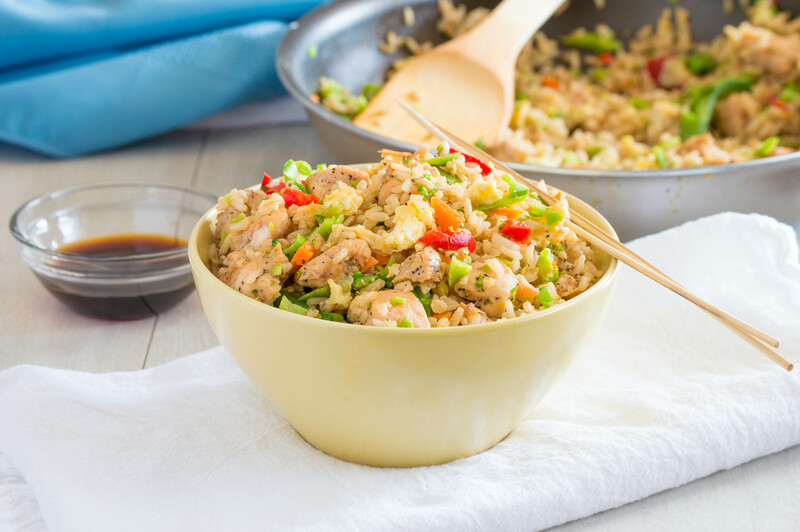 Since fried rice is kind of an eclectic dish to begin, extra flavors usually work pretty well. The next step is to beat the egg and mix it in. This is what fries the rice and makes it stick together. Make sure the egg is fully mixed in, and then allow it to cook. The rice will take on a nice golden color as the egg fries. Lastly, I remove the pan from the heat and do a few passes with the soy sauce bottle. Sometimes I add teriyaki sauce to give the meal a little variety. It’s pretty hard to go wrong with this one! Wow ! That looks so good!! !